Yesterday Sony introduced a gaming device that’s as surprising as the Nintendo 2DS. 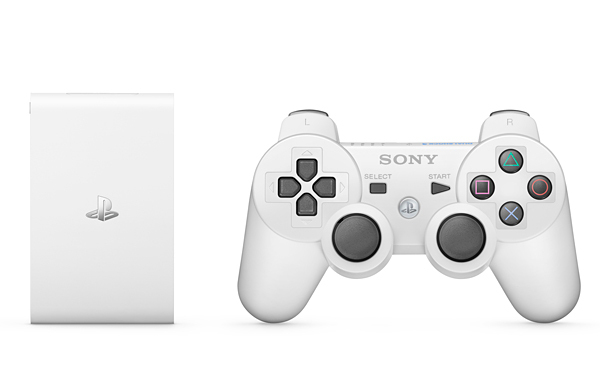 Alongside its announcement of a new PS Vita model, Sony also introduced the PlayStation Vita TV. But while Nintendo wants to grab new mobile gamers with its new handheld, Sony seems to be going after its existing customers with the PS Vita TV. You’ll see why I say that in a bit. If the 2DS is a 3DS with no 3D screen, the Vita TV is a Vita that has no screen at all. It needs your TV or HD monitor as its screen. It measures just 2.6″ x 4.1″ x o.54″ and weighs just 110g (~0.24 lb.). It can play many games PS Vita games as well as the PS One Classics and PSP games in the Playstation Network store. It will use the DualShock 3 controller, which was originally released for the PS3. 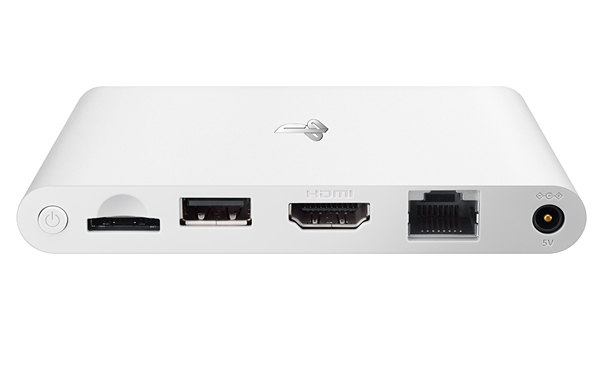 The Vita TV has a Vita game card slot, an HDMI port, a USB 2.0 port, an Ethernet port, Wi-Fi connectivity and a slot for Sony’s memory cards. The PS Vita is also a digital media player. But it’s going to be launched in Japan first so the announced services are mainly for Japanese customers, with the exception of Hulu. Finally, like the 2DS, the PS Vita TV is also cheaper than its full featured kin. It will launch in Japan on 11/14/13 for ¥9,954 (~$100 USD). It’s not all good news though. As you may have deduced already, the PS Vita TV cannot play all Vita games. That’s because some games, e.g. Uncharted: Golden Abyss and Tearaway make use of the Vita’s touchscreen, which the DualShock 3 doesn’t have. PlayStation Japan has a list of the games that will work with the PS Vita. The obvious answer to this dilemma would be the DualShock 4, but Sony didn’t say if this functionality will be added in the future. As with the 2DS’ lack of 3D, the disparity between the Vita and the Vita TV could create a lose-lose situation for Sony. If developers keep on making Vita games that require a touchscreen or a touchpad, owners of the Vita TV will be pissed off that they can’t play those games. On the other hand, if more Vita games in the future won’t require the touchscreen, that may render the Vita’s touchscreen and rear touchpad useless. I think Sony should order developers to require the use of Vita’s touch hardware only on games that are meant to be played on the go. In short, only on games designed for a mobile device. Because that’s what the Vita is and that’s what the Vita TV is not. I don’t think Vita TV gamers would care much for an endless running game or a tower defense game. Another drawback of this strange new microconsole is that it’s not really as cheap as it seems. Sure, at only $100, it’s 50% cheaper than the PS Vita. But the microconsole doesn’t come with a DualShock 3. Japanese customers will have to buy a bundle that costs about $150 if they want a controller included with their PS Vita TV. Then there’s Sony’s most irritating quirk: its memory cards. The PS Vita TV has only 1GB of internal memory, which means pretty soon you’ll have to splurge on Sony’s vastly overpriced proprietary memory cards. 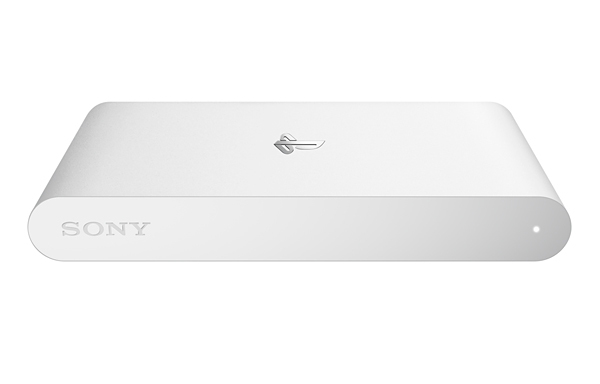 Like I said, the PS Vita TV seems to be aimed at loyal or would-be loyal fans of the PlayStation ecosystem. If you already have a PS3, then you already have a DualShock 3 controller. Got the Vita? Then you have Vita games and at least one memory card. If Ouya and other microconsole makers want to stay swimming with this big fish, I think they have to attack that one weakness: sell cheap and go for casual and retro gamers.